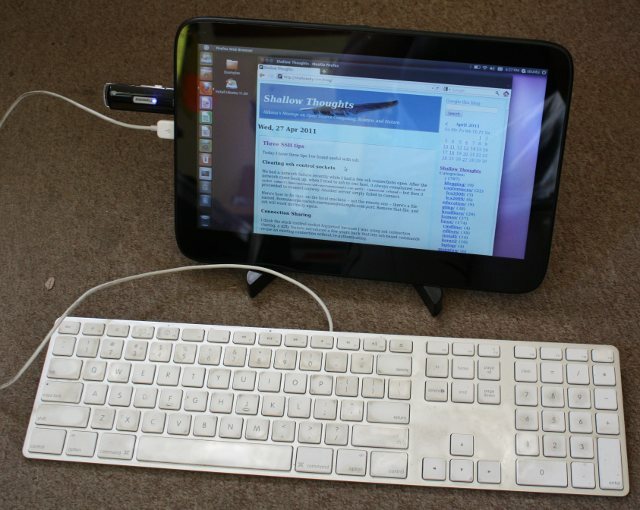 For the past couple weeks I've been using a small Android tablet, an Archos 5. I use it primarily as an ebook and RSS feed reader (more about that separately), though of course I've played with assorted games and other apps too. 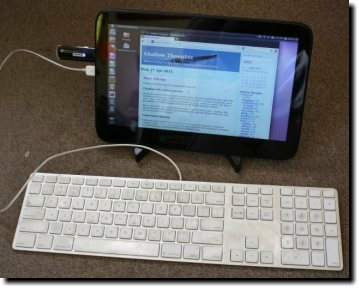 I've been trying to wait for the slew of cheap Android tablets the media assure us is coming out any day now. Except "any day now" never turns into "now". And I wanted something suitable for reading: small enough to fit in a jacket pocket and hold in one hand, yet large enough to fit a reasonable amount of text on the screen. A 4-5-inch screen seemed ideal. 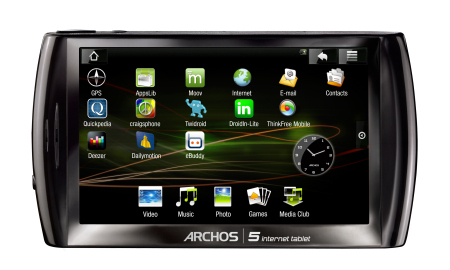 There's nothing in the current crop fitting that description, but there's a year-old model, the Archos 5. It has a 4.8-inch screen, plus some other nice hardware like GPS. And it seems to have a fair community behind it, at archosfans.com. I have the 16G flash version. I've had it for a couple of weeks now and I'm very happy so far. I'm not sure I'd recommend it to a newbie (due to the Android Marketplace's ban on tablets -- see below), but it's a lovely toy for someone fairly tech savvy. My review turned out quite long, too long for a blog post. So if you're interested in the details of what's good and what's bad, you'll find the details in my Archos 5 Android Tablet review.